US-based private equity firm TPG Growth, which has struck a string of healthcare deals in India in the past months, has initiated talks for yet another deal in the country in the mother and child care space. 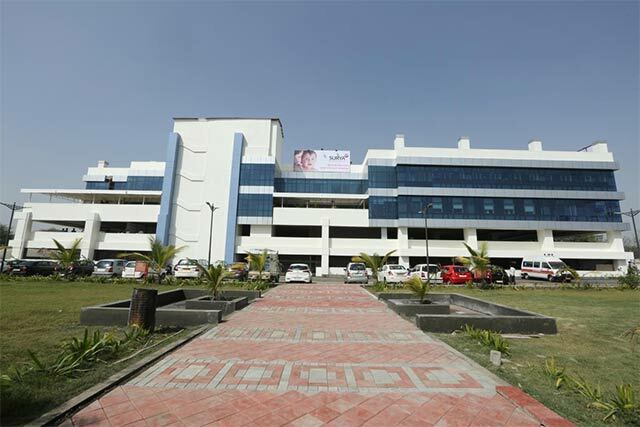 The mid-market and growth-equity investment platform of alternative investments giant TPG Capital, plans to acquire a minority stake in Mumbai-based Surya Mother & Child Care Super Speciality Hospital for Rs 80-100 crore, Mint reported citing two people close to the development. The funds raised will be used for expansion in Mumbai’s suburbs and across Maharashtra. Investment bank Spark Capital Advisors India Pvt. Ltd has been hired by the promoters of Surya Mother & Child Care for the proposed deal, the newspaper said. Mails sent to the spokespersons of Surya Mother & Child Care and TPG Growth did not elicit any immediate response . Surya Mother & Child Care, which was started by in 1985 by B S Avasthi, had raised Rs 54 crore (around $9.24 million) from healthcare-focused private equity firm OrbiMed Advisors by selling a minority stake in 2013. If the deal goes through, this will be TPG Growth's second investment in the mother and child care space. Early in July, TPG Growth invested $33 million (Rs 220 crore) in Rhea Healthcare Pvt. Ltd, which runs a chain of mother- and child-care hospitals under the brand Motherhood, for a significant majority stake. This was the second deal this year in the mother- and child-care space after private equity firm India Value Fund Advisors invested Rs 400 crore (about $60 million) in Kids Clinic India Pvt. Ltd, which operates Cloudnine Hospitals. TPG has been pretty active in healthcare sector in India. In April, TPG Growth said it bought a majority stake in India- and South Asia-focused cancer treatment provider Cancer Treatment Services International (CTSI) for an undisclosed amount. As first reported by VCCircle, TPG Growth recently struck its second control oriented deal in Indian healthcare sector and also its second bet on the medical consumables space. It is already an investor in Bangalore-based surgical consumables maker Sutures India Pvt Ltd. In December 2015, TPG Growth acquired a 28% stake in Sri Lanka’s Asiri Hospital Holdings from private equity firm Actis Investment Holdings. TPG Growth’s investments in healthcare companies, including Motherhood, across India and Sri Lanka now total nearly $250 million, the private equity firm said in a statement recently.